We all have at home old denim which from we can make shorts for summer and feel comfortable and fresh everyday, but what we gonna do to denim legs which ones we have cut out from pants. 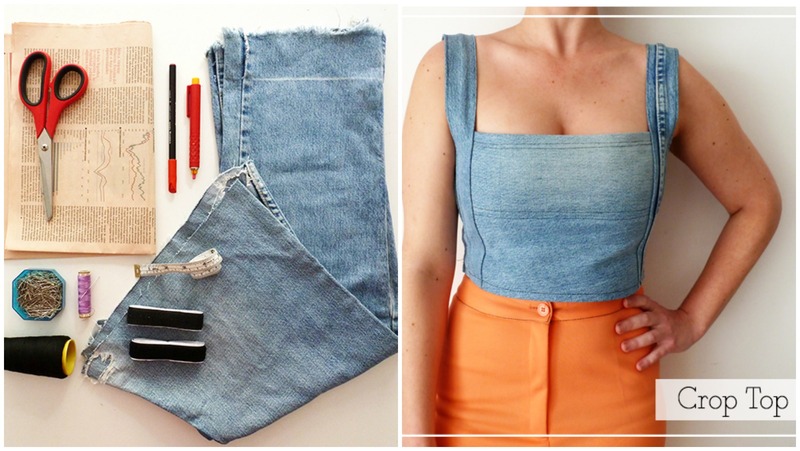 Today we want to show you tutorial where you can learn how to sew creative and easy top from denim legs. We hope you have some free time or will have after tough day and start crafting soon, because there are many warm days outside and in these denim top made by our hands will be very useful and comfortable. Enjoy and good luck.